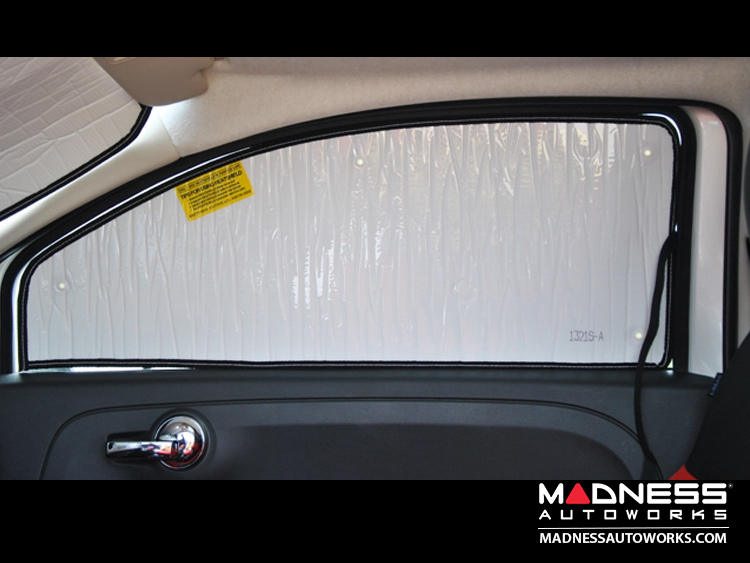 Keep the interior of your FIAT 500 cool and protected with this complete set of Window Sunshades for your FIAT 500 Coupe. 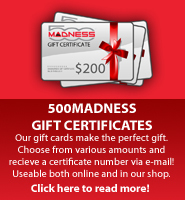 Buy the entire set and save money on the products and shipping! 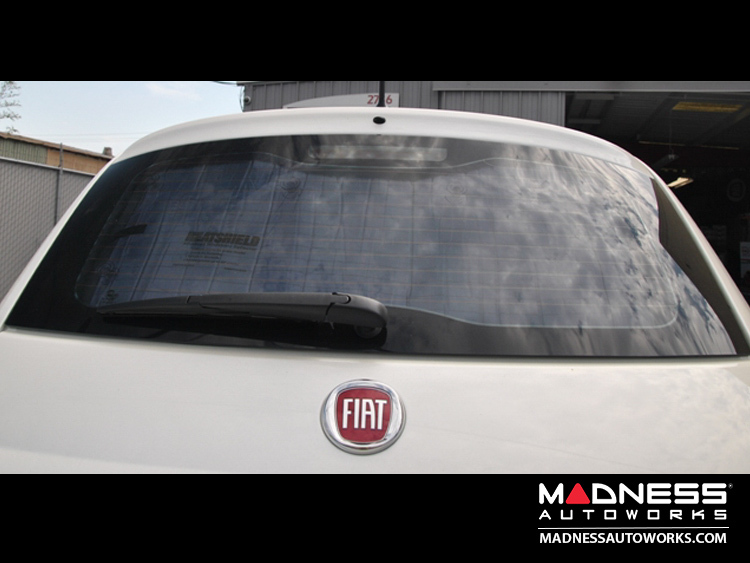 We have selected these custom-fit automotive sunshades for your 500 due to their high quality and ease of use. 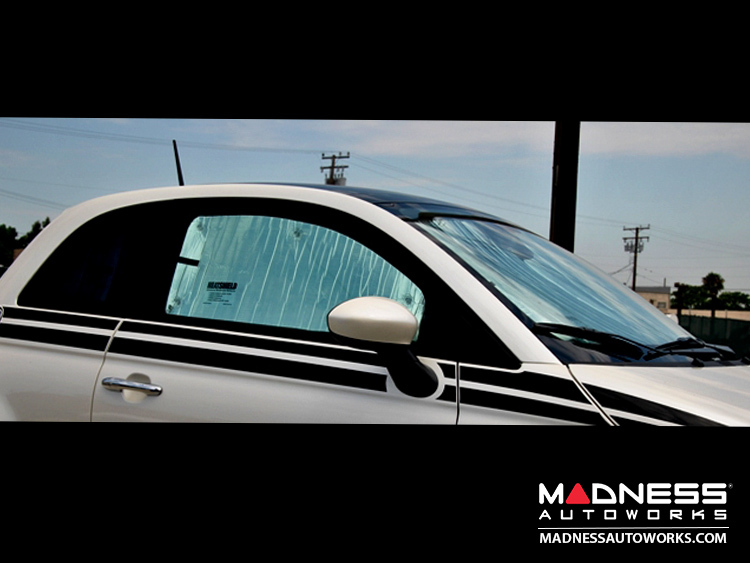 These car shades help the 500 stay cooler and protect the interior from the damaging sun rays and heat. 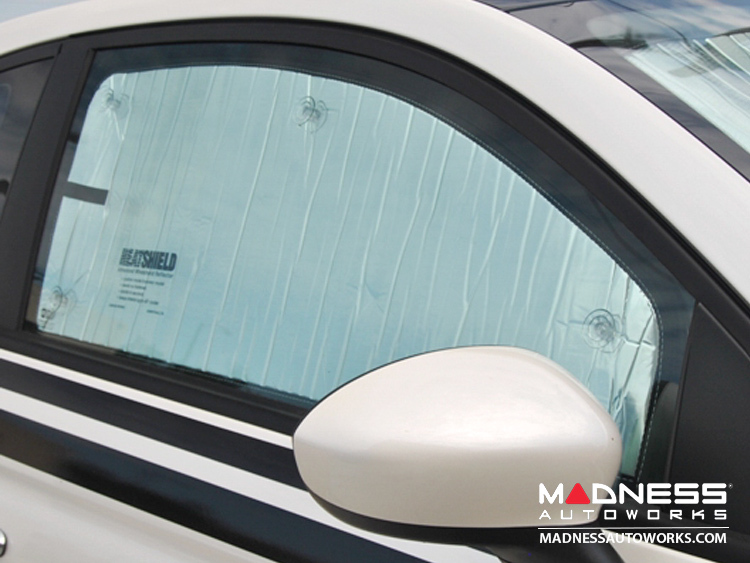 This set is guaranteed to fit correctly since it has been specifically designed for the FIAT 500. 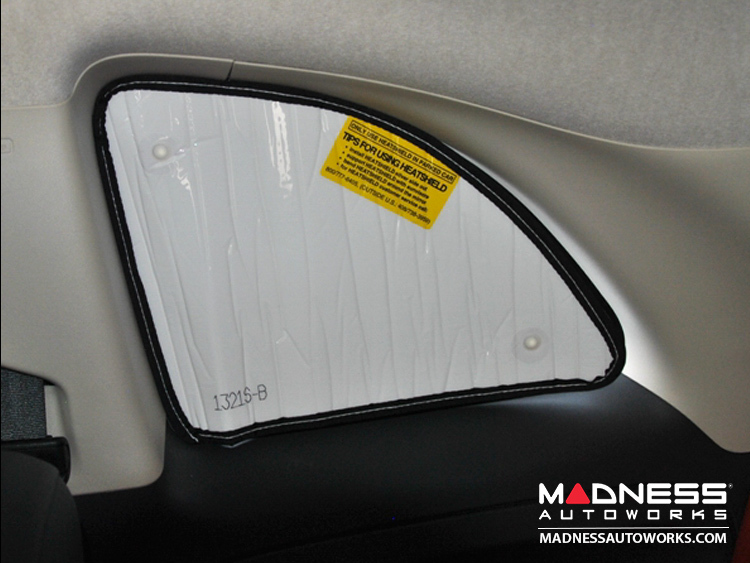 These covers require no fasteners or Velcro and are very easy to use. 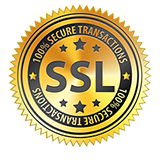 The company is very well known and respected in the industry. We are confident you will enjoy the benefits of this cover set and it's ease of use. 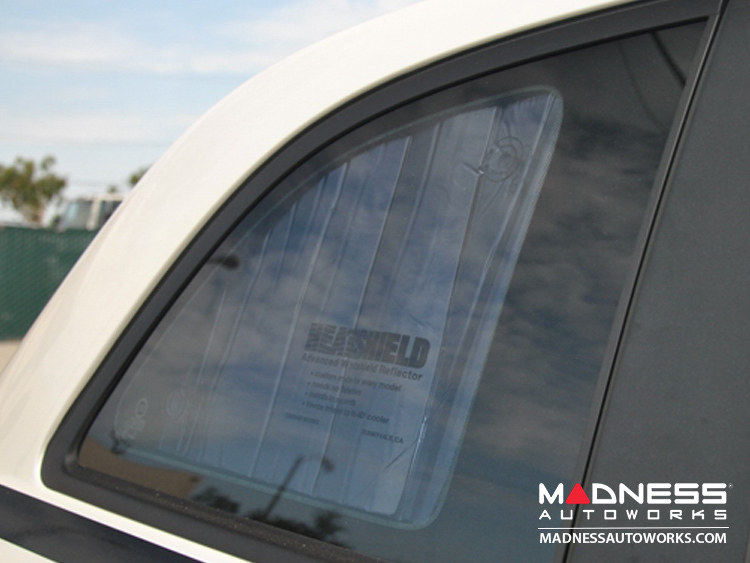 Custom designed to fit the shape of the car's front window, side front and rear windows and the rear window (Coupe). The material of the covers is simple and unique. 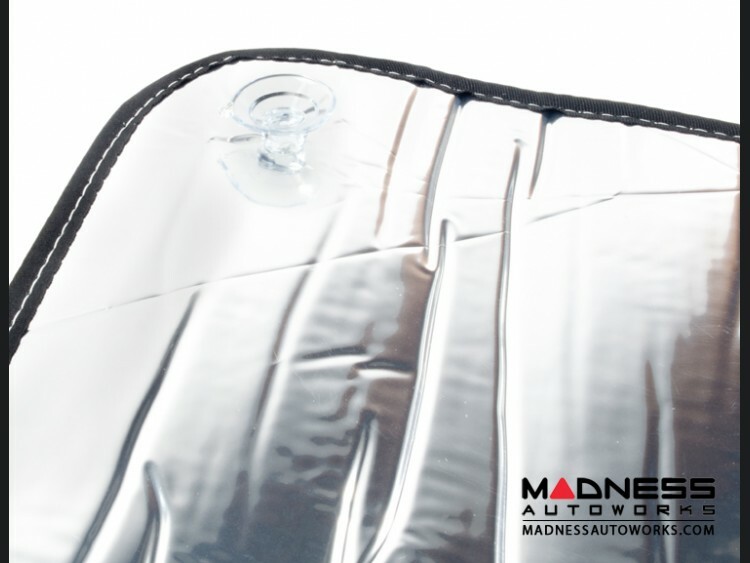 The special metalized polyester film is laminated to a thin layer of closed-cell foam w/a clear polyester film back custom cut, using the latest in computer-aided cutting technology sewn around the edge. 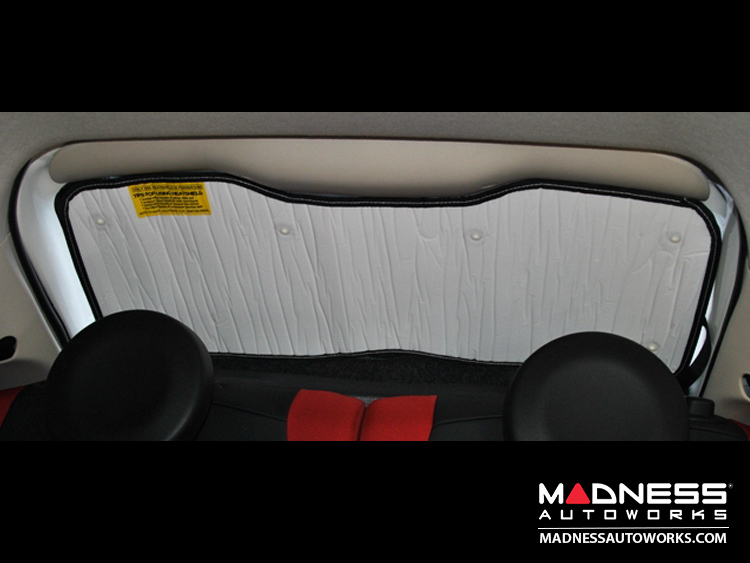 A cloth binding cover is reflective, insulating and custom fit for the FIAT 500. 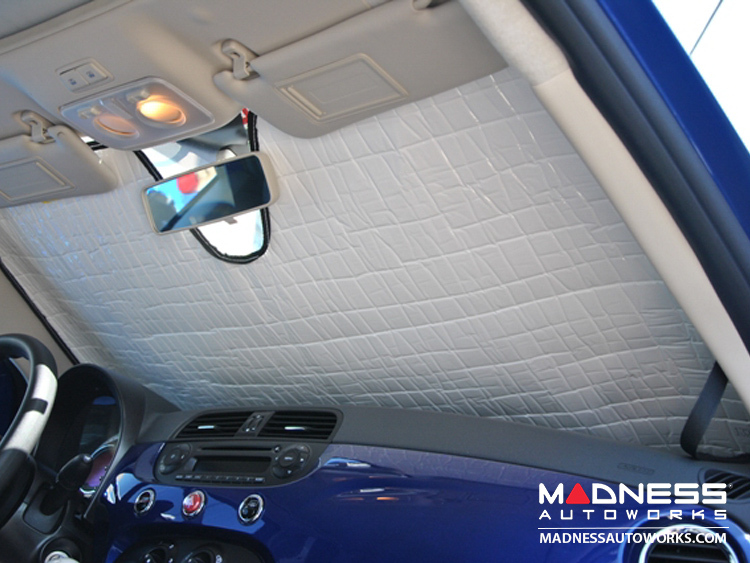 The covers reduce the inside temperature by as much as 40 deg. Simple to use and just as easy to store! 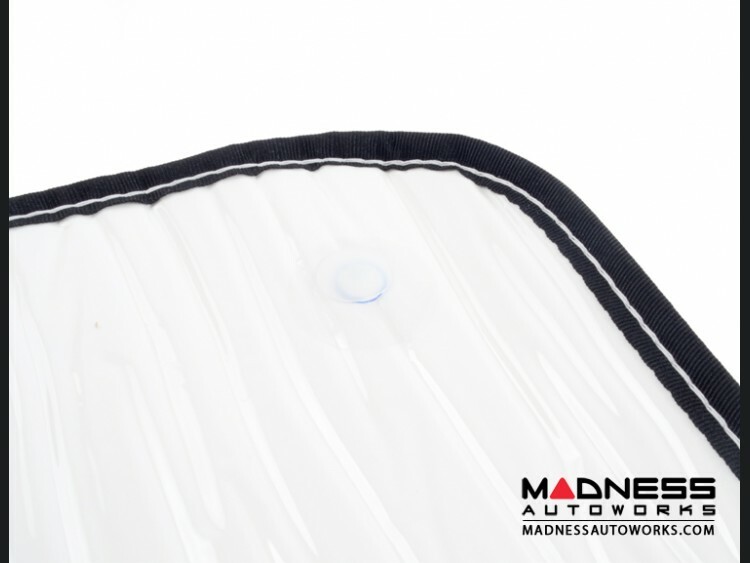 These covers rolls up for easy storage and fit in the boot/trunk of your car. The entire set will easily fit in the boot of your 500 and takes very little room. 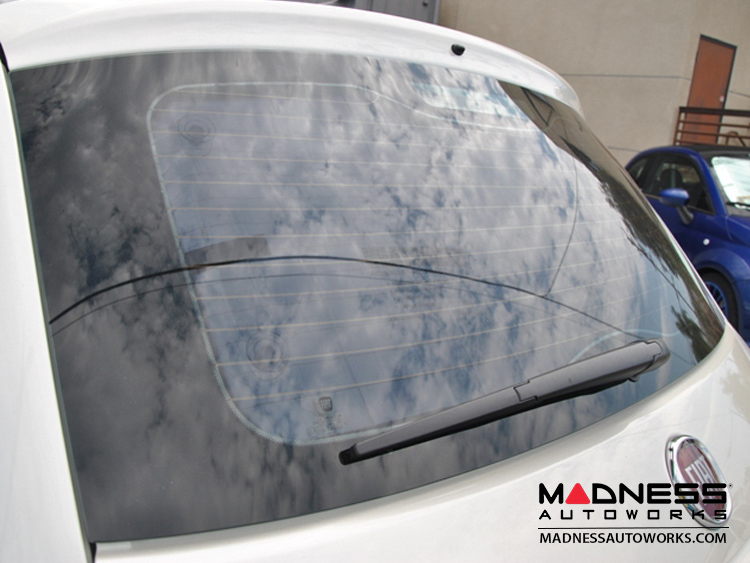 Don't forget to check out our other listings for these sunshades. Each one can also be purchased separately.